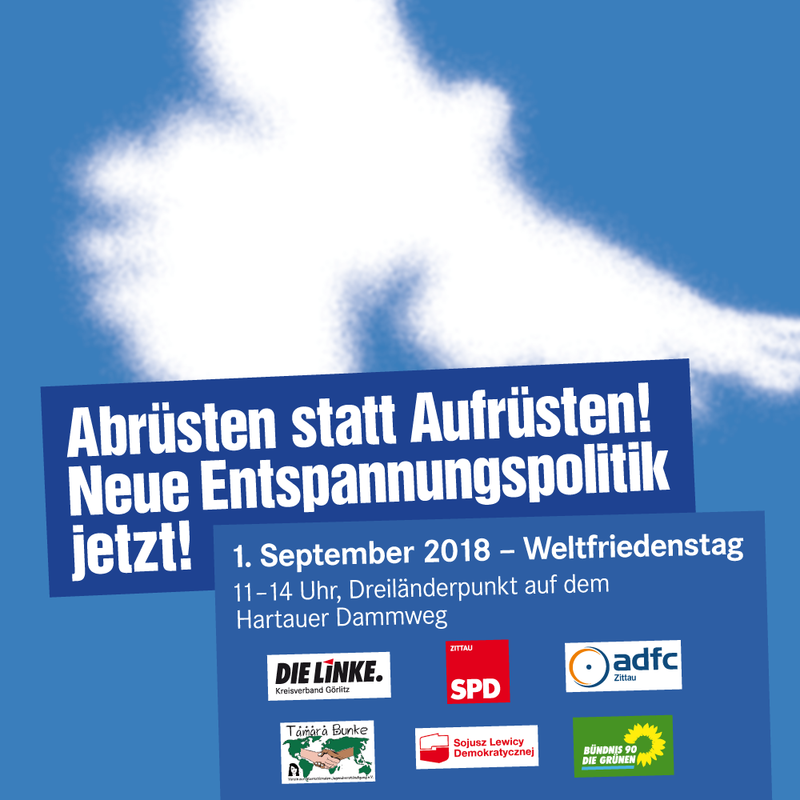 Couleur Noir » Blog Archive » Weltfriedenstag 2018 – Abrüsten statt Aufrüsten! Neue Entspannungspolitik jetzt! This entry was posted on Mittwoch, August 1st, 2018 at 09:58	and is filed under Termine. You can follow any responses to this entry through the RSS 2.0 feed. Responses are currently closed, but you can trackback from your own site.